Available in 2-part, 3-part and 4-part sets, NCR Paper is perfect for receipts, delivery notes and invoices. Printed in full colour and glued along the top, you can create a completely custom and fuss-free NCR solution for your client. Comprising 50 sets of NCR paper glued along the top with a cardboard backing, NCR Pads are ideal for use in the office or on the road. 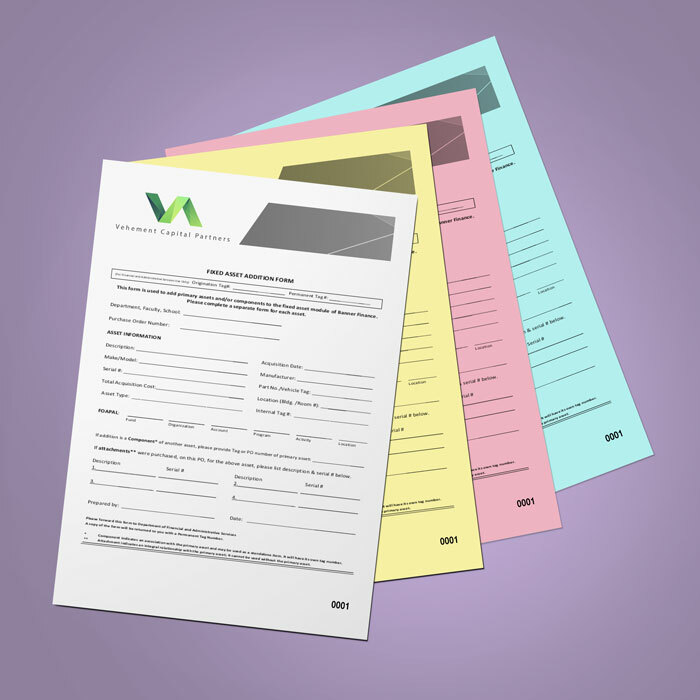 Simply add your client’s logo, company name and contact details for a customised duplicate or invoice pad. 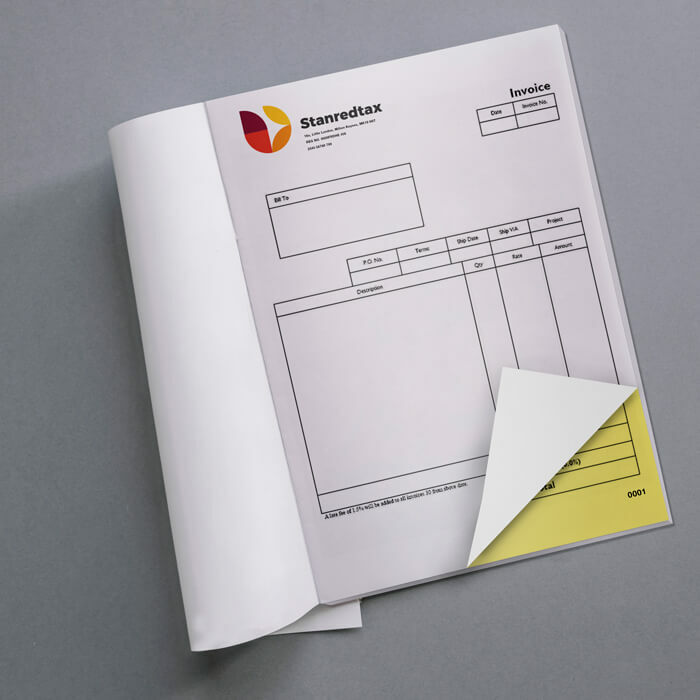 Choose NCR Books for personalised invoice and receipt books that easily withstand regular use. Containing 50 sets of NCR Paper with an uncoated cover and a sturdy cardboard backing. Our range of NCR printing uses a variety of applications including duplication solution for every client. 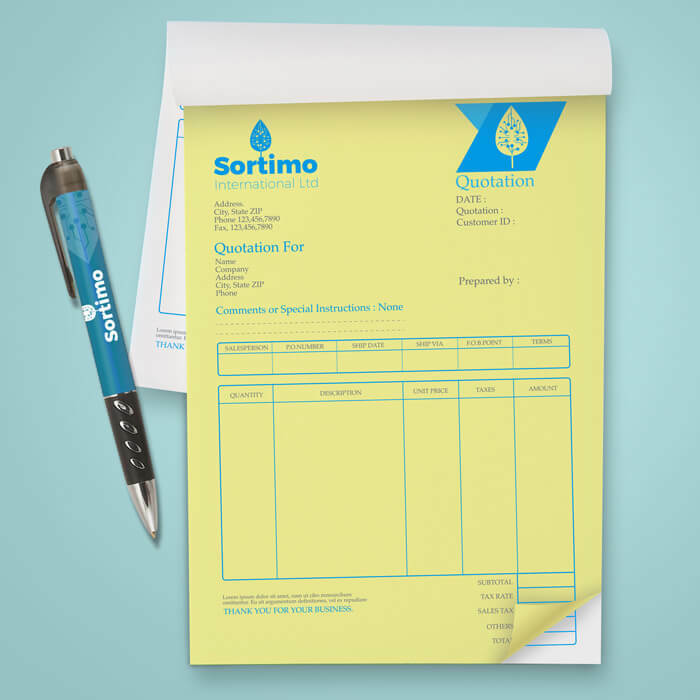 This allows you to create professional receipts, delivery notes and invoices easily by adding your client’s branding in full colour, digital print. NCR Sets for individual 2-part, 3-part, and even 4-part sets. NCR Pads for 50 sets of NCR Paper, glued along the top. NCR Books ideal for keeping all your records together. They are bound and come with a cover and perforated pages for easy removal whilst the bottom page remains intact.